It's Wednesday and time for another episode of "What Makes Me Happy". 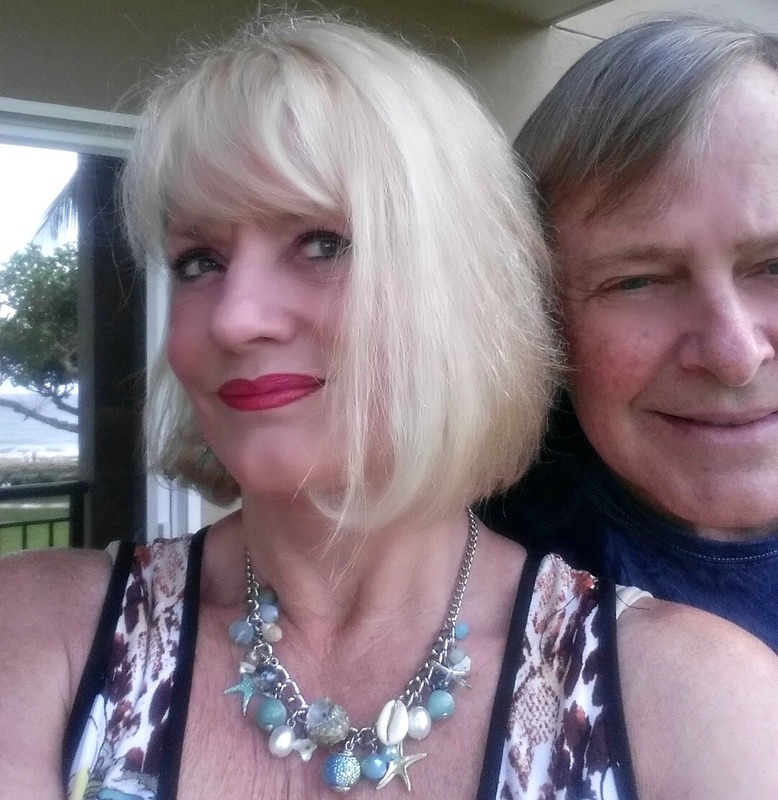 Today, Linda of Life and Linda shares her "happies". I first met Linda when I was looking for a blog designer, and she has been a great blog friend ever since then. She is one talented lady. 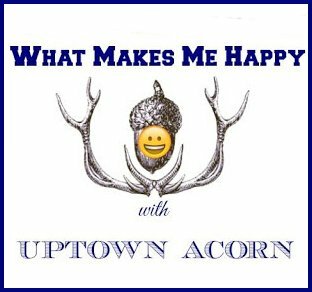 Today, I am joining my friend Ron at Uptown Acorn for his delightful series, "What Makes me Happy." My name is Linda and I blog at Life and Linda. I blog all about decorating, entertaining, tablescapes, gardening and more. I am a blog designer as well and I also share tutorials for those who wish to tweak their blog. My other site is My Fairy Blog Mother. He makes me extremely happy. He has a great sense of humor. He is very handy around the house, able to build, tweak and repair common household issues. Being cancer free makes me very happy. It's been 4 years since my last two cancers, ovarian and thyroid. You can read more about my last cancer here. Our sweet Toy Schnauzers make me incredibly happy with their unconditional love. 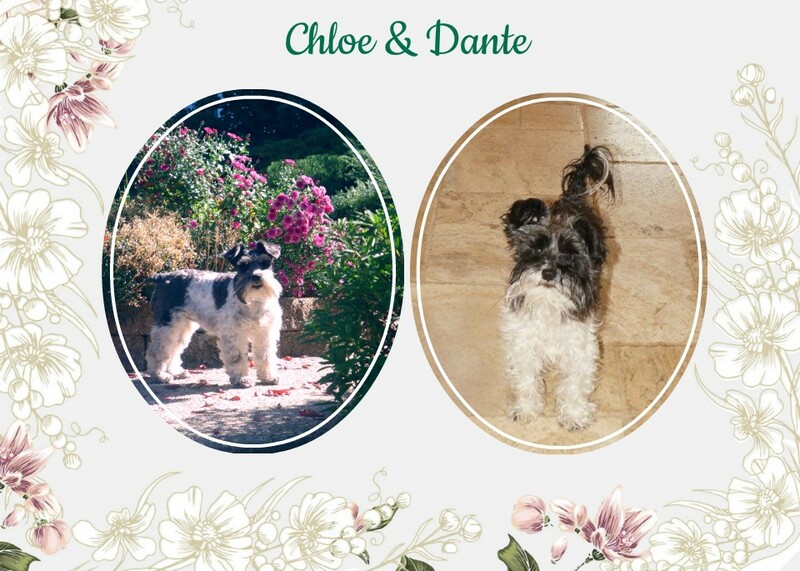 They are Mother and son. Our gardens make me happy. I love spring and the fresh flowers. You can see more gardening photos here. Setting a pretty table for friends and family. Here's some examples. 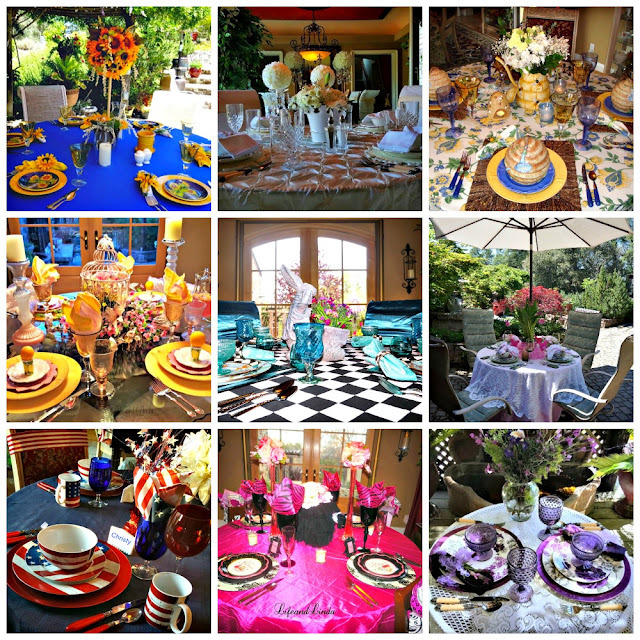 I have many tablescape categories on my blog. It is fun to create a theme for my guests to make them feel extra special. Designing blogs makes me very happy. I am also known as My Fairy Blog Mother. I love helping people out and also designing a customized look for blogs. I try to capture each blogger's personality when styling. You can also find tutorials on my blog for blogger. 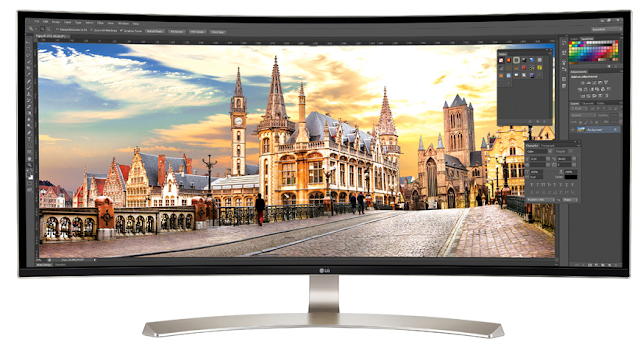 My New Ultra Wide Curved 38 inch monitor so I can blog, design and more. My husband bought me this for my birthday. I could go on and on for so many things that make me happy, whether it's family, friends, nice clean house, a new outfit, glass of wine after a long day and travel. Thank you Ron for the opportunity. 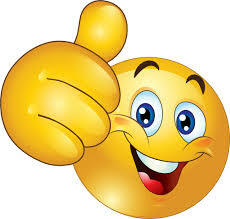 This is YOU.. so nice to read about it all together:)Lovely! Linda is great and what a delightful person. Great choice Ron. Ron, great choice! I've know Linda as a blog friend for many years now. She is one talented lady! Linda and Miss Lola recently joined the Tales of the Traveling Tote group. Thrilled to have her join the fun. Linda is my fairy blog mother! She got me started with blogging and has been a good friend too. I enjoy following her blog and seeing all the other blogs she's designed. It's fun to read these posts! Im popping over from Lindas blog. This was a fun read. 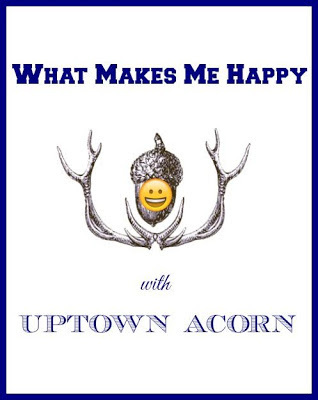 I Enjoy hearing about happiness and what makes others happy. You did good. So great to see what makes Linda happy! I love her beautiful blog! So great to see Linda here with her happiness post. She is so talented and has helped me with my blog design and is truly the Fairy Blog Mother! I have so enjoyed becoming friends with her over the years. She is an inspiration to all, talented and a bright light in blogland! Have a nice weekend. Miss Linda is very talented...Ron, you have featured some fabulous bloggers. I haven't been online the past few weeks...have had a horrible upper respiratory issue. 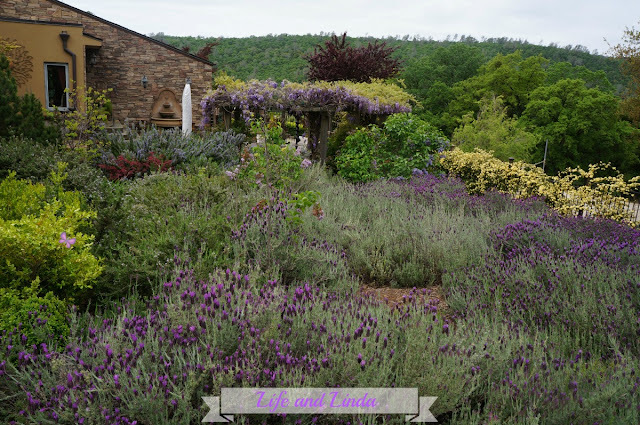 So glad to check your blog again and this feature about Linda & her happies makes me smile! She is indeed a multi-talented lady, beautiful inside and out and a great resource for bloggers.